Limit Login Attempts is a WordPress plugin that provides login security and protection from threats. Its features also include bot detection, temporary IP blocking, and protection from brute force attacks among others. In this article, we cover Limit Login Attempts reviews and pricing. Ready to get started? Visit its website. The Limit Login Attempts pricing scheme covers free and premium options. You may either download the free version from the WordPress plugin directory or purchase its premium version from the developer’s webpage for a one-time payment of $19. The main difference between the plans is that the premium version can be used on an unlimited number of websites. Ready to get started with Limit Login Attempts? Visit its website. Users who gave Limit Login Attempts a positive review like that the plugin works consistently. They also said that it is a must-have given that it helps secure their websites. One user who gave Limit Login Attempts a positive review on WordPress commented that since he installed the plugin, he has received several emails that notified him of blocked bot login attempts. As of the date this article was written (April 8, 2019), there are no up-to-date negative Limit Login Attempts reviews available online. 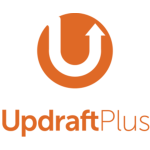 If you are a past or current Limit Login Attempts customer, leave a review to help other business owners who are deciding whether or not to use the plugin. How does the plugin identify bots? The plugin uses captcha verification that involves understanding and analyzing images in order to distinguish a bot from a human user. How many failed login attempts will trigger the verification process? Users will be required to accomplish a captcha verification test after seven failed login attempts. Have you read these Limit Login Attempts reviews and are still not sure if it’s the right fit for you? Read our reviews of all top WordPress Plugins or check out one of these three Limit Login Attempts competitors.